Before we even noticed it, survival games came to dominate the indie PC space, pushing aside roguelikes to utterly saturate the market. 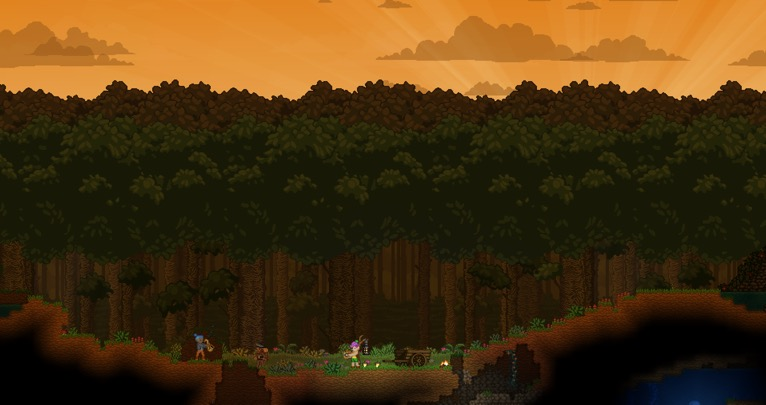 Taking their cue from games like Minecraft, the scavenging, mining/survival game industry is a big one but luckily Starbound manages to carve out a place of its own. Strongly influenced by Terraria, but with some excellent quality of life changes along with a decent enough quest system that actually gives you a reason to explore the world after you have established yourself.